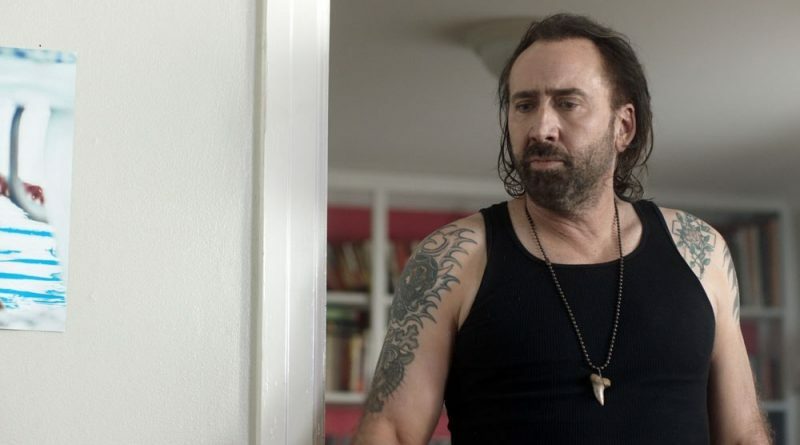 With critics and audiences barely able to catch their breath after Mandy – the intoxicating delight that was Panos Cosmatos’s spectacular exercise in woman-centred world-building – Maria Pulera’s Between Worlds has shown that when it comes to the oft-cited Nicolas Cage renaissance, the actor has only just begun. Finding Cage’s character Joe in what initially appears to be far less otherworldly terrain, in Between Worlds he is a truck-driver down on his luck who finds himself drawn into a romantic relationship with Julie, played by Run Lola Run’s Franka Potente in a very welcome return to form. Julie is a spirit guide of sorts who can travel between astral planes, a skill which she attempts to put to good use in helping her daughter Billie (Penelope Mitchell) who has fallen into a coma after an accident. Here’s the twist: Julie’s meddling in the pathway to the afterlife allows a way for Joe’s dead wife Mary back into the present, albeit in Billie’s body. Overwhelmed with jealousy at Julie and Joe’s relationship, Billie/Mary is determined to win Joe back, resulting in what narratively is a woman yearning for the return of her lost love, but in practice plays out visually as a bizarre incestuous seduction play between Julie’s lover and her teenage daughter. And bizarre it is. Cage, of course, fully embraces the conceptual strangeness of Between Worlds with a simultaneous earnestness and excess that has with Mandy in particular reached new levels of cult acclaim. Written, directed and co-produced by Pulera, Thomas Hencz’s cinematography smoothly flips between low-key small-town realism and beautiful, dream-like imagery, the latter nowhere more impressive than in the opening credit sequence which depicts a pivotal experience from Julie’s childhood shot underneath frozen lake. With its world premiere at Austin’s Fantastic Fest in September and due for release in late December, Between Worlds is shrewdly cast and crackles with electric dialogue which its performers clearly relish. Between Worlds takes an outrageous premise and plays it comparatively straight, but its flagrant brandishing David Lynch collaborator Angelo Badalamenti’s soundtrack perhaps over-signifies the precise kind of ‘weird’ terrain Pulera is seeking to tap into. But as with most things Nicolas Cage related, all other names almost fade into the background in comparison, and the experience – and potential pleasures – of Between Worlds will be largely informed by how one is placed on any given day with his undeniably overwhelming star persona. Text-book Cage, Between Worlds is best viewing for when your thirst for B-grade excess is at its highest.